- "Lee Kum Kee products were introduced to the European market in the 1920s, providing authentic, high-quality and delectable Chinese sauces and condiments to people in the region. We have achieved steady growth and development in Europe in past years, with our sales network spanning close to 30 European countries. 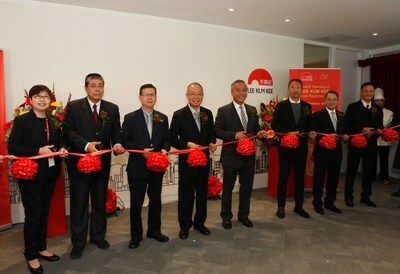 The popularity of Lee Kum Kee products is now not limited to Chinese and Asian consumers, but has already extended to a host of mainstream markets," said Mr. Charlie Lee, Chairman of Lee Kum Kee Sauce Group as he officiated at the Opening Ceremony. "This year marks the 130th Anniversary of Lee Kum Kee. The opening of our new Europe Regional Office demonstrates our confidence in developing the European market, with the office reinforcing support for our business expansion in Europe." 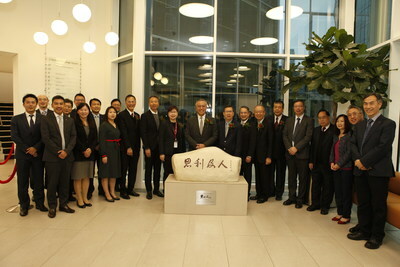 Chairman Charlie Lee also unveiled the "Si Li Ji Ren" (Considering Others' Interests) Stone which symbolises the core value of Lee Kum Kee at lobby of 3 Harbour Exchange during the Opening Ceremony. 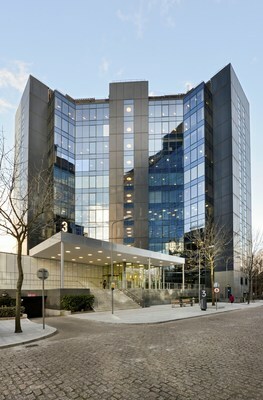 Lee Kum Kee first set up its Europe Regional Office in the United Kingdom in 1995 to strengthen its presence in Europe. Currently, Lee Kum Kee's sales network covers such countries as the United Kingdom, France, Germany, the Netherlands, Czech Republic, Sweden, Spain and Poland. Taking the United Kingdom as an example, Lee Kum Kee products are sold in the biggest retail chains in the mainstream market, such as Tesco, Asda, Waitrose and Sainsbury's. As the inventor of the oyster sauce, Lee Kum Kee has the biggest market share of the oyster sauce in the country's mainstream retail scene. Lee Kum Kee has constantly come up with new products, such as the vegetarian and gluten-free product series, to cater to the needs of consumers who have become more health-conscious. 3 Harbour Exchange is located next to Canary Wharf on the bank of River Thames in the City of London. The 11-storey property covers a total floor area of 90,000 square feet. Lee Kum Kee Sauce Group acquired the commercial building in December 2016 and has used one of the floors as the Group's Europe Regional Office to cater for its growing business in the region. Lee Kum Kee was established in 1888 when its founder Mr. Lee Kum Sheung invented oyster sauce. With a glorious history of 130 years, Lee Kum Kee has become a household name of Chinese sauces and condiments. Lee Kum Kee has straddled three centuries and become a globally renowned Chinese enterprise offering over 200 choices of sauces and condiments to over 100 countries and regions. For more details, please visit www.LKK.com.